A man got in a verbal dispute with his neighbor before going on a shooting spree with a semi-automatic rifle, killing 13 people. That was nearly 30 years ago and was the deadliest shooting in New Zealand's history, until Friday. The mass shooting of 49 people at mosques in Christchurch is not only exponentially larger than the Aramoana shooting in 1990, but it also equates to the same number of gun homicides that happened in the country from 2010 to 2016, according to New Zealand police data. Unlike in the United States, where calls for greater gun control after mass shootings are often met by deaf ears when it comes to federal regulation, three mass shootings — only one of which happened in New Zealand — prompted legislative changes. The Aramoana shooting led to changes in the nation's gun laws, and a review that was already underway in 1995, gained more momentum after shootings in Scotland and Australia. In Scotland, the shooting of 16 students and a teacher in March 1996 prompted the banning of private ownership of handguns in the United Kingdom, and after the Port Arthur massacre where 35 people were killed in a series of shootings, Austrailia enacted widespread tightening of gun laws. 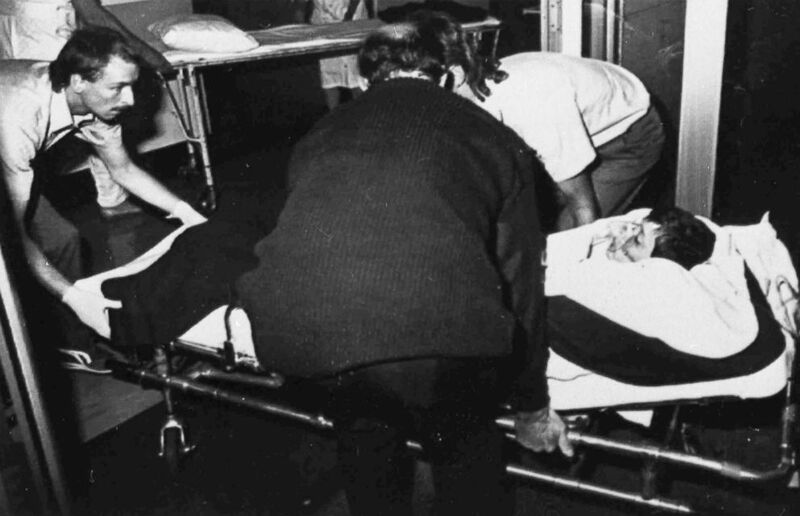 Ambulance officers transfer a boy to Dunedin Public Hospital, New Zealand, Nov. 14, 1990, after he had been shot in Aramoana. David Gray went on a rampage, killing 12 people, including four children and a police officer. Historical ties with those two countries, as well as a general reaction to those events internationally impacted New Zealand's view on their own national laws. The country had gun registration laws dating back to the 1800s, but in recent history, the most notable laws was the Arms Act of 1983 that banned the registration of certain long guns and required police to conduct background checks on anyone hoping to get a gun registration. That Act created a regulation so that anyone over the age of 16, who is a "fit and proper person" and the law defines as "a person of good character who will abide by the Laws of New Zealand," can be legally granted a gun license; which is require in order to buy or own a gun. The national reaction to the deadly shooting in Aramoana in 1990, prompted a call for tighter gun restrictions that was established in 1992. Those new amendments included greater oversight over the acquisition of ammunition, restricting sales to only firearms license holders and requiring permits for people to order guns or ammunition by mail, updating and adding more information including photographs to individuals'gun licenses, and requiring secure storage for guns. The New Zealand Police note how the Arms Act of 1983 doesn't require gun license holders to register their specific firearms with the exception of any military style semi-automatic firearms, pistols or other restricted weapons. 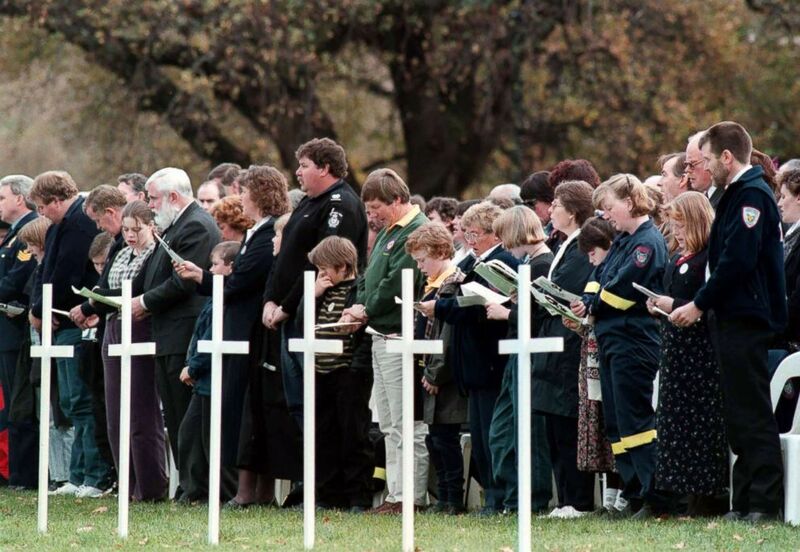 People pay their respects at the memorial service held at the Port Arthur historic site for the 35 victims of the Port Arthur massacre, May 19, 1996. A national report that reviewed their gun laws was released in 1997 and, at the time, they estimated that there were between 700,000 and 1,000,000 firearms owned by New Zealand civilians, according to the police. According to an information release from the New Zealand police, there were a total of 69 murders with a firearm in the entire country over the span of a decade, from 2008 to 2017. Beyond that, the New Zealand Police noted in a separate release that in 20 years, from December 1998 to December 2018, there were a total of 15 murders committed by someone, who had a firearms license. By comparison, the Centers for Disease Control reported that in 2017 there were 39,773 gun deaths in the U.S., though the majority of those were suicides. Of that total number, 37 percent were homicides with guns, meaning that in one year there were more than 14,700 gun homicides in the U.S.
A marked difference is the inherent size gap in the two country's populations, with New Zealand having a population of less than 4.8 million people while the U.S. has an estimated 327.2 million people, but the gun violence rates are notably different when looked at with comparative sizes. CNN cites a 2015 study that reported New Zealand had an adjusted rate of about 1 gun death per 100,000 people, while in 2017, the United States has an adjusted rate of 12 gun deaths per 100,000 people. "Fortunately, the vast majority of New Zealanders never feel the threat of illegal firearms in their neighbourhood [sic]," then-assistant police commissioner Malcolm Burgess said in 2014.